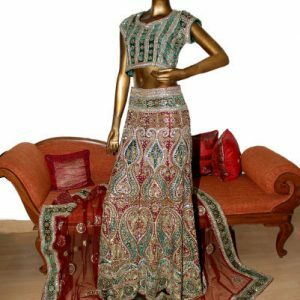 Tags: Blouse, Bridal Wear, Bright Red, Choli, Deep Red, Golden Embroidery, Lehenga. Elegant deep red bridal blouse having dull golden and light antique embellishment. Appliqued with bright red fabric. 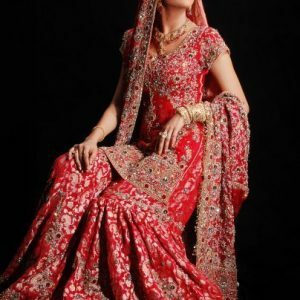 Red lehengha having large borders of hand embellishment and small motifs spray above the hemline. 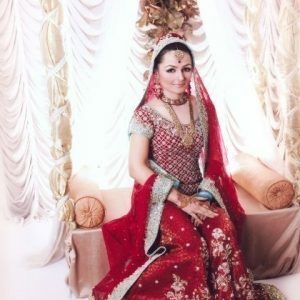 Same border as on lehengha has been implemented on dupatta with motifs spray all over it. Blouse has been adorned with embellishments accent all-over the front. Blouse contains embellished border on hemline. 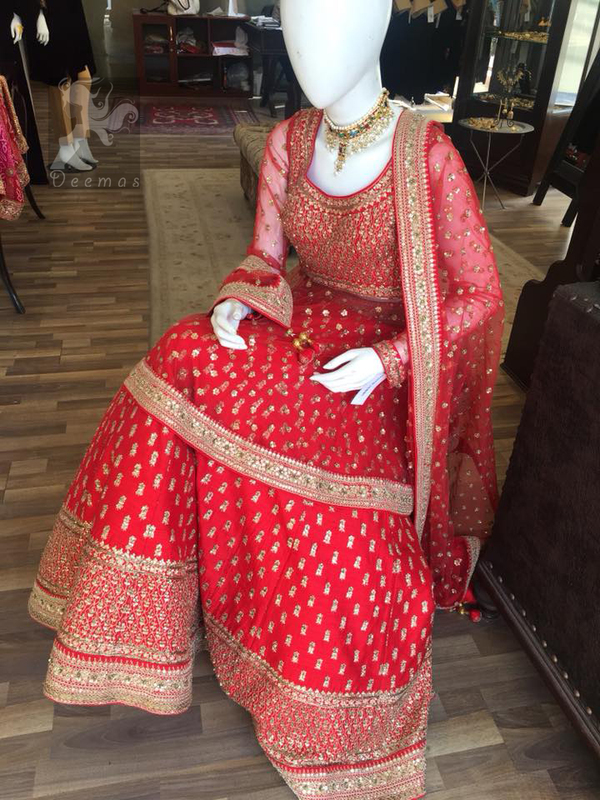 Red lehengha having large borders of hand embellishment and small motifs spray above the hemline. Same border as on lehengha has been implemented on dupatta with motifs spray all over it. 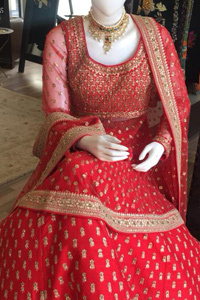 Simple but elegant deep red bridal blouse having dull golden and light antique embellishment. Appliqued with bright red fabric. Deep red bridal blouse having dull golden and light antique embellishment. Appliqued with bright red fabric. 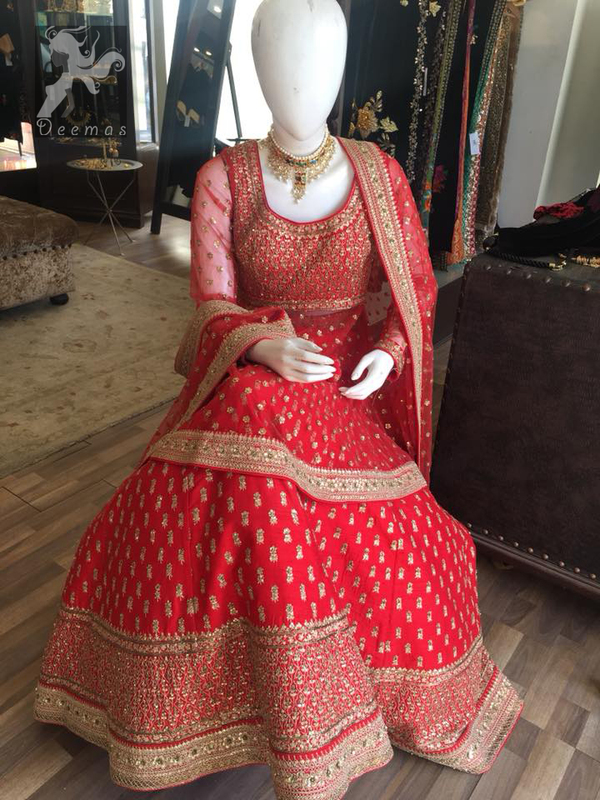 Red lehengha having large borders of hand embellishment and small motifs spray above the hemline. Same border as on lehengha has been implemented on dupatta with motifs spray all over it.